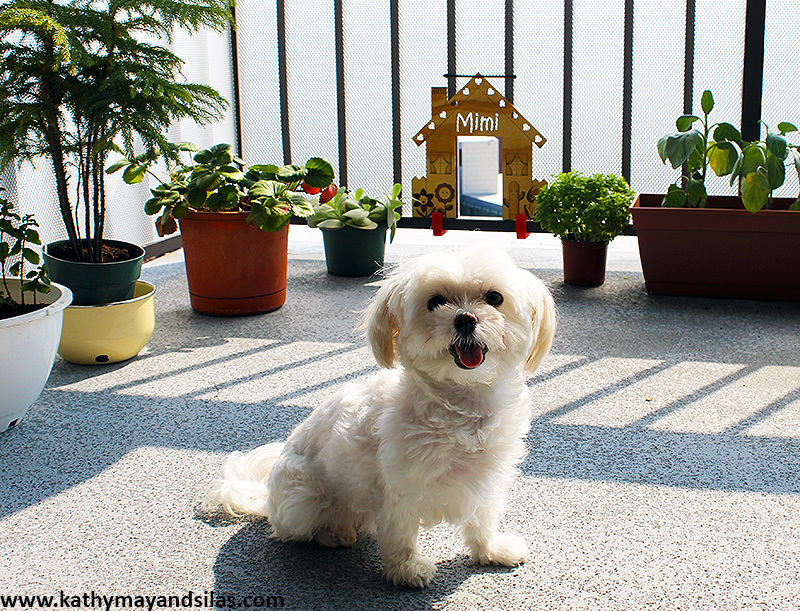 Mimi is a happy, peppy pup and the theme we chose was equally fun and playful. 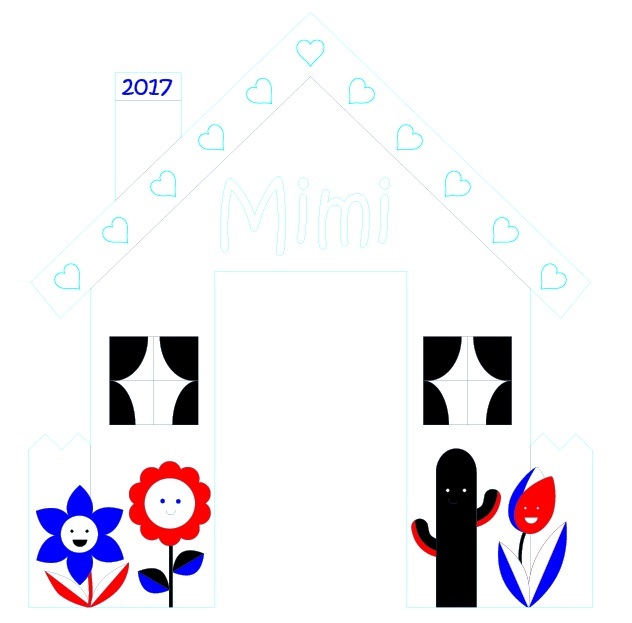 For the basics of the main design elements, we used pre-made vector files of a simple house from clker and anthromorphized flowers from freepik. There are innumerable free vectors available online, and a large advantage of vector art is that they can be imported into Adobe Illustrator to save a great deal of time in the design stage. Back at home, we cut a Mimi-sized peephole from the wind barrier panel and slid the top of the house under the barrier’s fastener. 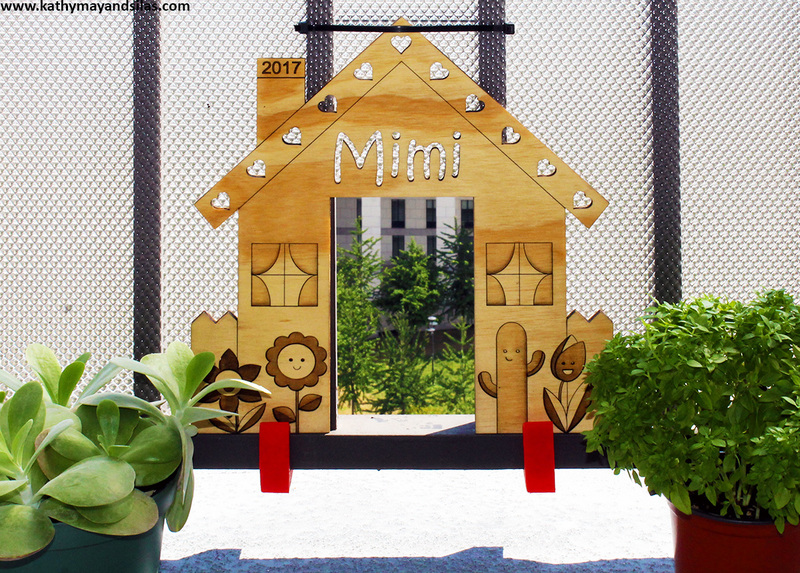 The bottom of the house is held in place with the 3D-printed C-hooks. Here’s the final construction! 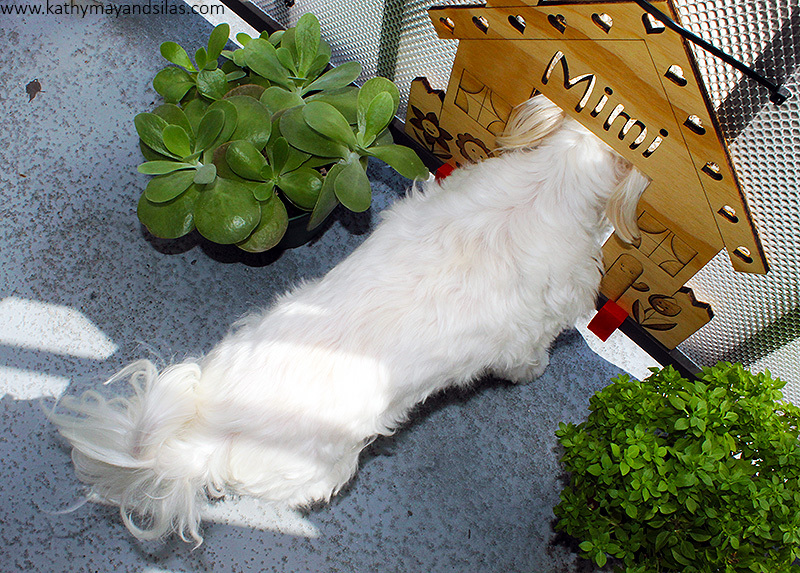 Mimi loves her new doggie door! 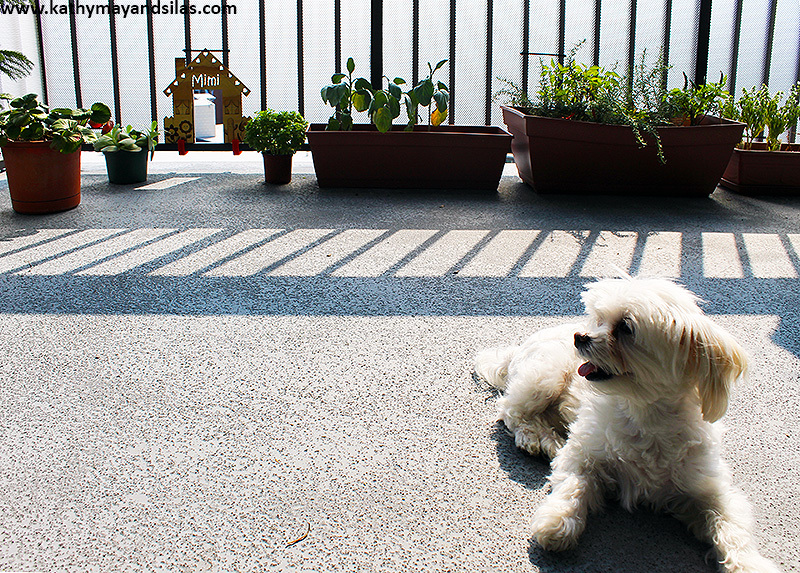 She is again able to enjoy her view of the city below and to get a nice whiff of fresh air at her leisure! 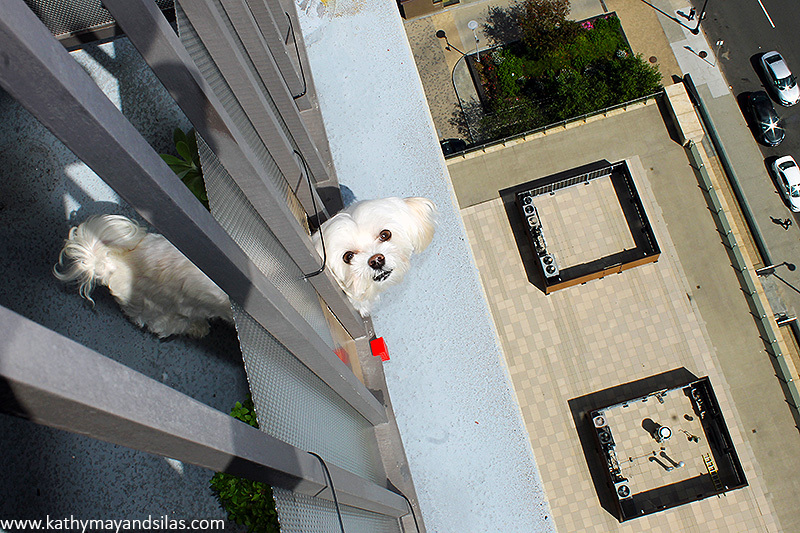 Click on the gallery images below to see some snapshots of her enjoying the balcony. 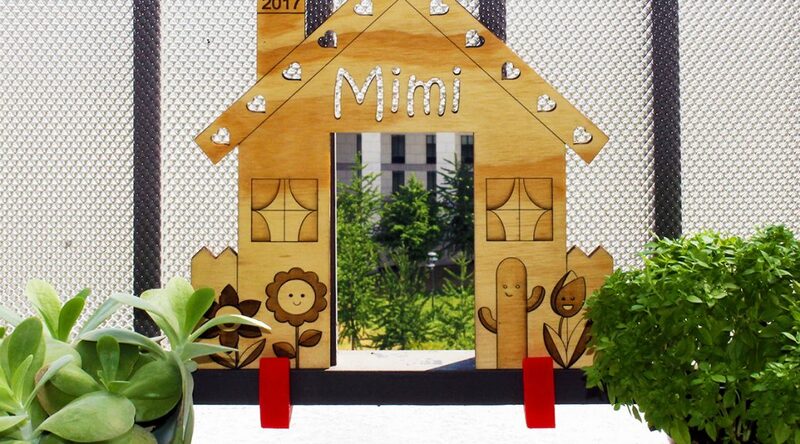 By the way, we loved her door so much that we laser-cut a second copy to paint and display indoors. A picture of that is included in the gallery too! That’s original and cute !!!!!! 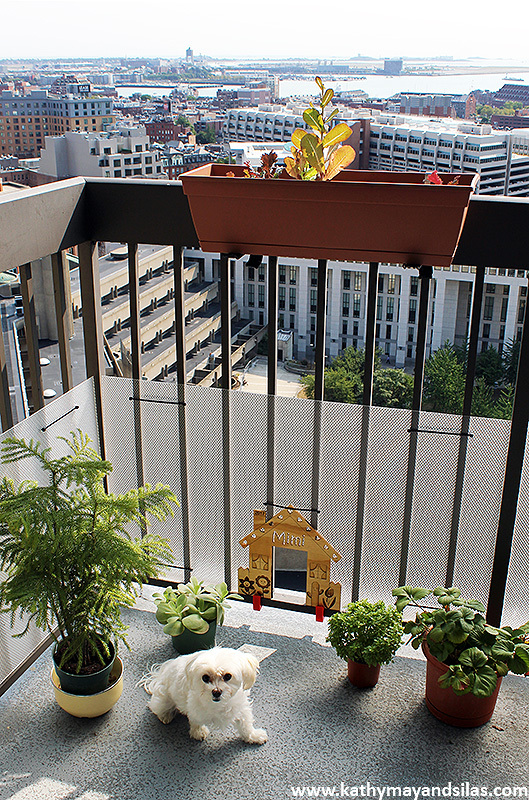 As well, the plants look great and healthy.